Someday I will have a giant fig tree in my backyard. It’ll produce tons of figs and I’ll be able to just pluck figs off a branch and eat them all summer long. 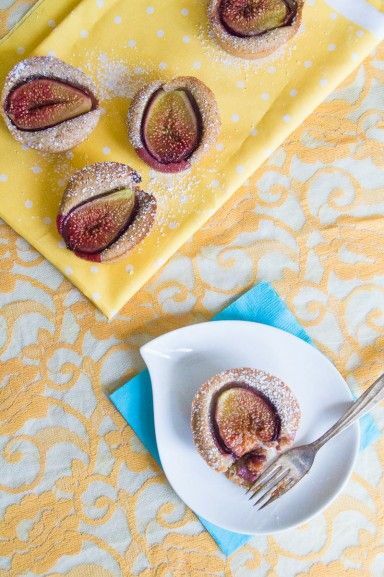 I love the sweet and slightly tangy flavor of figs. And I absolutely love that they’re in season right now. We had one fig tree on my family’s farm in India when I was a kid. 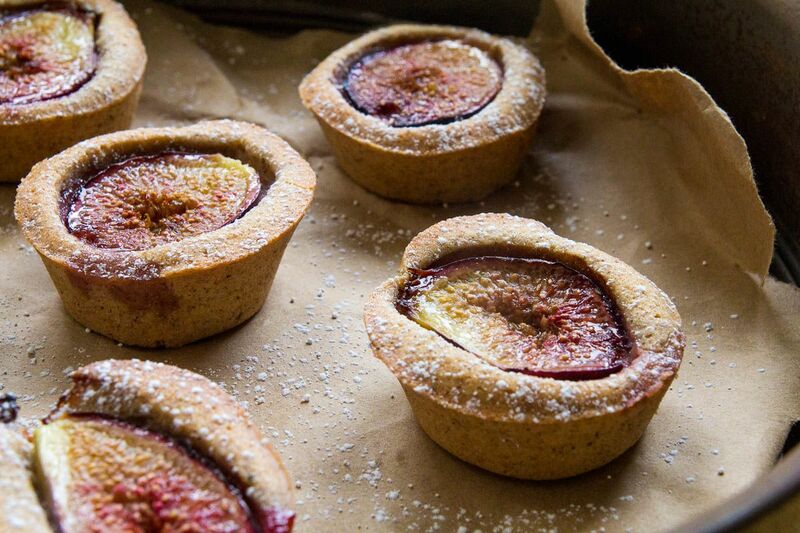 I remember the fig season always seemed way too short. I love figs so much I try not to do much to change them when I have them. 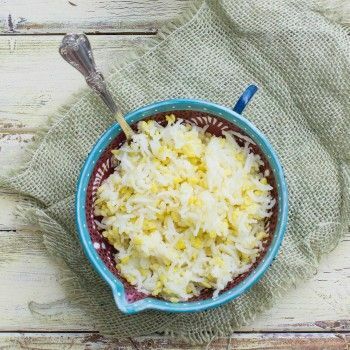 My favorite thing to do with them is to slice them in half, add a little sugar, brulee that and then add a thin slice of Pecorino cheese to the top. Sometimes I’ll splash a little balsamic vinegar on top too if I’m in the mood. This was my first time making these Fig and Cardamom Tea Cakes. 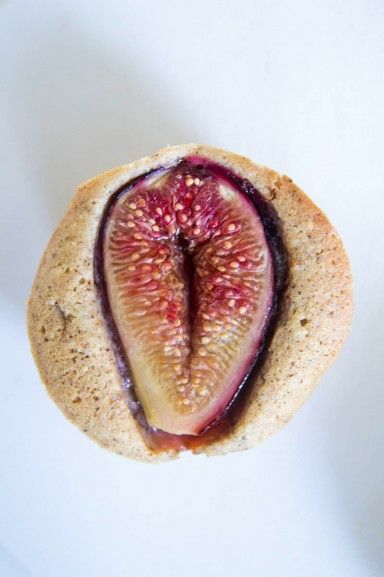 It’s basically a fig wrapped in a French tea cake called a “financier”. The cake does such a spectacular job at highlighting the sweet, juicy flavors of the fig inside. I usually make do with store bought and farmers market figs. 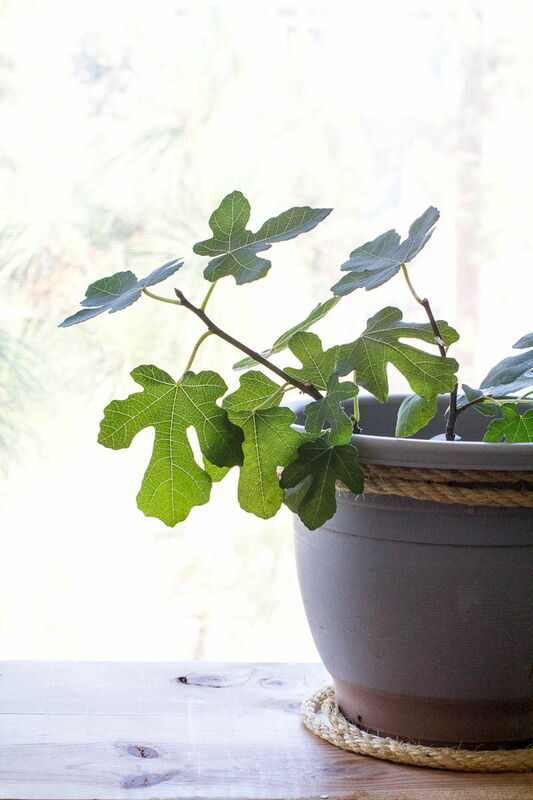 But I do have a little fig plant growing on my balcony that my parents gave to me. It’s one of only four plants I own – the other three are all herbs. My little fig will probably take years to mature enough to produce fruit. And the chances are good it may not live that long. I often forget to water the little guy. But isn’t stress supposed to good for plants? 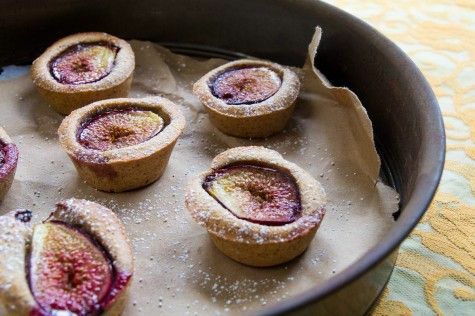 Well I know it is for wine grapes, so here’s hoping the same is true for figs! A couple of months ago I met a woman at a party who brought loquats to share. We got to talking and she told me her mom had both a loquat and a fig tree and that they always had way too much fruit. She offered me some fresh fruit if I wanted. Of course I wanted the figs! Since the figs weren’t ripe yet, we promised to stay in touch. I forgot all about it until this week. I suddenly remembered my new friend and texted her on the off chance that the offer was still good. It was! 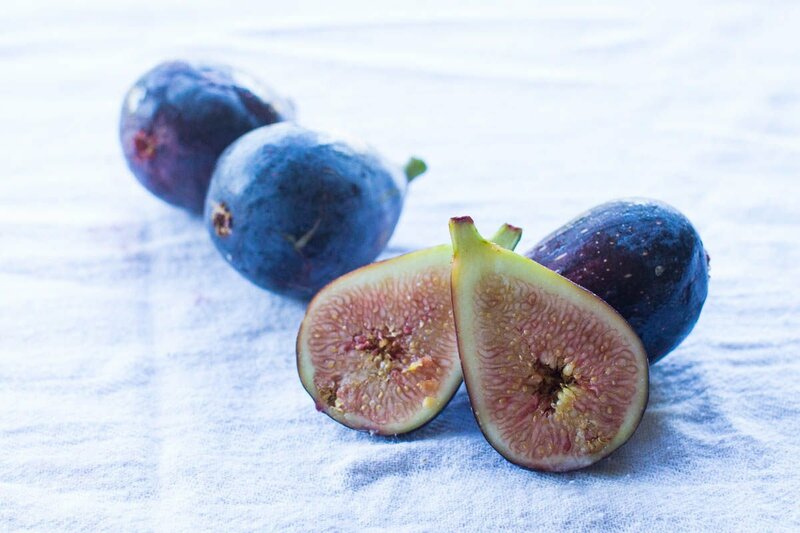 I picked up a bag of delicious, tree ripened fresh figs. 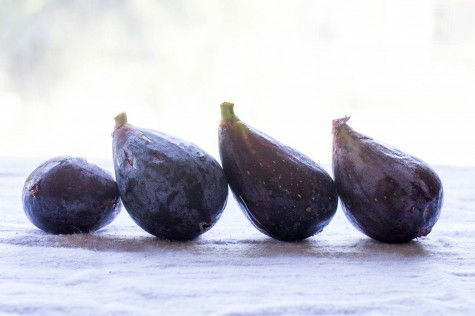 Honestly, they are some of the sweetest figs I’ve ever had, and so big. Thank you so much KQ! Steve decided to brûlée one of his. It came out pretty good except the fig had so much liquid the sugar didn’t quite harden enough. Butter the insides of a muffin tray lightly and set inside. Heat the butter in a small saute pan until it turns medium brown. Keep an eye on it, it can burn fast! Turn off the heat and set aside. 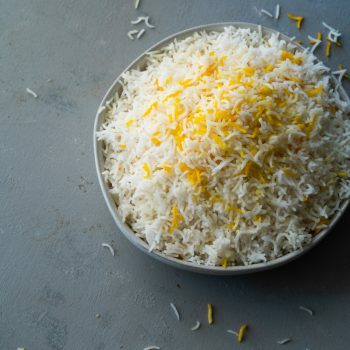 In a food processor, pulse together ground almonds, powdered sugar, rice flour, salt, cardamom, nutmeg and lemon zest. 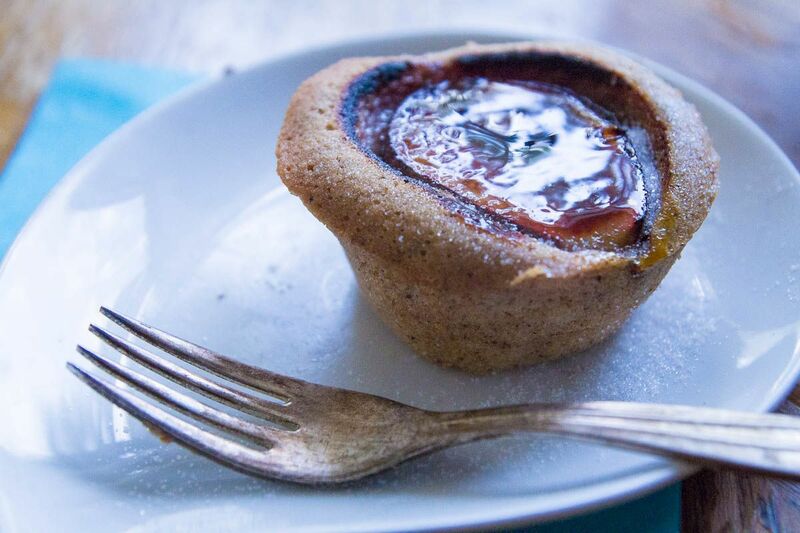 Divide the batter into the muffin cups. It took 3 tablespoons per muffin cup for me, yes I counted. 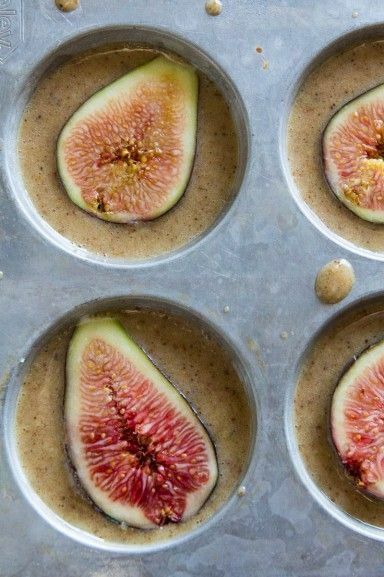 Top each cup with half of a fig and bake for 15 to 20 minutes. Remove from oven, let cool for 5 minutes in the muffin tray. Remove and cool on a cooling rack. If you don’t have a food processor, it’s very easy to do with a stand mixer or hand held beater as well. Instead of pulsing, just beat at medium speed until well blended. You can also just use a whisk and some muscle. 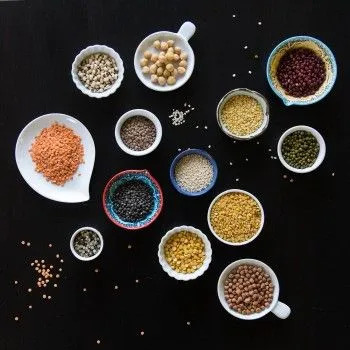 I think I’ll add a little black pepper the next time I make these. I think the flavor combination would be really yummy. Steve ate two as soon as they came out of the oven and then took a third one and headed into the kitchen. He came out with a torch and some sugar to brulee the fig on top. It tastes pretty great with a bruleed fig too! This recipe is adapted from Tartelette. 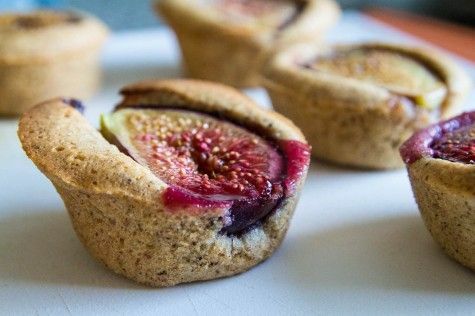 Comments on "Fig and Cardamom Tea Cakes (Gluten Free)"
Your fig teacakes look cute and of course perfect with tea or coffee! This looks so delicious! 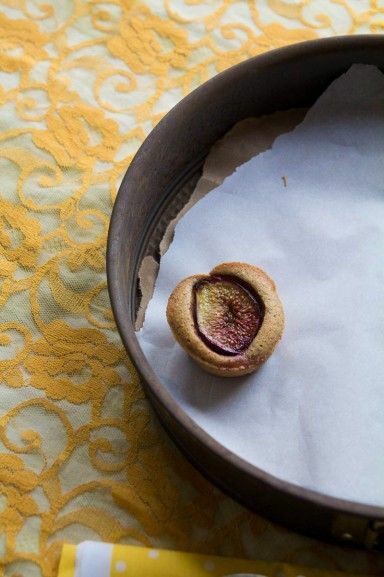 Time for figs start over here right now - thanks for the inspiration what to do with it next (the combination with cardamom is surely wonderful). 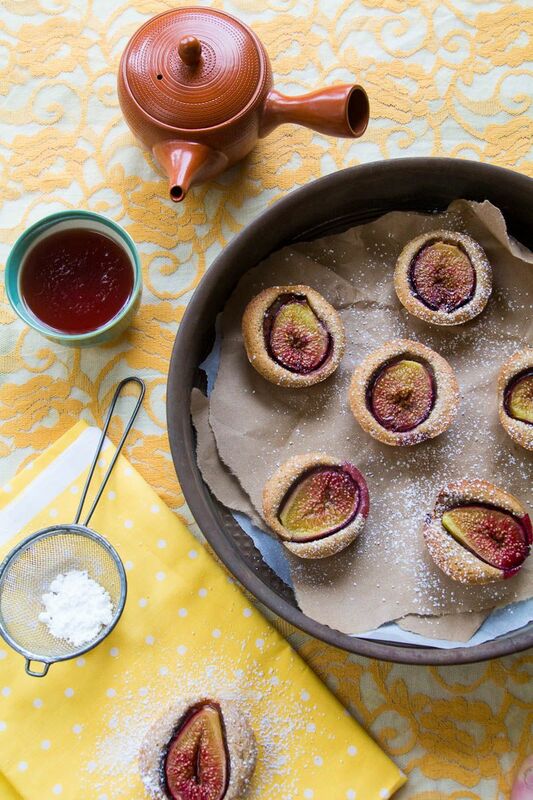 And, oh yes, I would just love to have a fig tree some day, too. Good luck with your's! 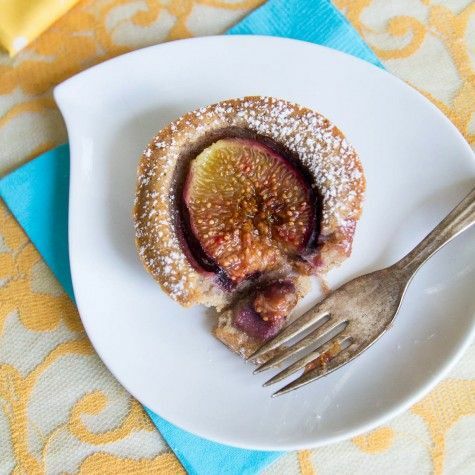 My mother has had a fig tree in her back yard for many years and the fruit---- delicious, but she is not living in paradise and their is a war between her and the squirrels and birds as to who takes these luscious sweet treats home. There are even squadrons of iridescent green beetles that fly in for afternoon snacks. Owning a fig tree is a pleasant dream, once it stars bearing its purple jewels, you will find you have many famished visitors. Some years there are bumper crops and everyone is happy! Those figs look wonderfully juicy! Unfortunately, the only figs I got this season were hard and flavorless :/ I couldn't find any good ones!